The forex markets are volatile, fast moving, and can turn on their tails in an instant. Patterns can emerge and then disappear again in the space of hours, and trying to wrap your head around the multitude of different factors that can affect currency combinations is enough to tie your brain in knots. With thousands of different drivers that can impact trends, it’s little wonder that the future of the markets is so hard to fathom. It takes a great deal of skill and expertise to unravel them, as well as the experience to understand how each event and happening can influence values. An economic calendar is simply what it says on the tin: a calendar used to mark financial, political, and economic events that might impact the markets. Usually, professionals compile these resources, so they tend to offer all of the information that a forex trader could possibly need on any happenings that might affect them. How Do Forex Traders Use Economic Calendars? 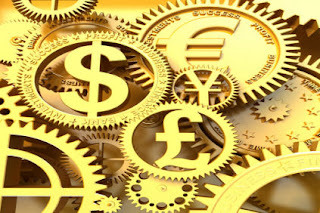 Everyone that plies the forex markets will understand how international economic, political, and financial matters can affect them, and the purpose of an economic calendar is to track these matters where they’ve been specifically organised, thus providing traders with a date and time for their occurrence. The events tracked include everything from interest rate decisions to non-farm payroll names, and changes in gross domestic product. This allows traders to move in a way that will be advantageous to them, depending upon the impact the event is expected to have on the markets. How Much Do Economic Calendars Cost? Economic calendars are available from a number of sources, with the majority being compiled by brokers. Many of these are available for free online, although some of them may be a little less detailed than the versions that you need to pay for. Where Can I Find an Economic Calendar? Economic calendars are scattered across the internet, and there are many available in both web and mobile-based formats. A lot of people are particularly enthusiastic about the latter, as they’re a fantastic resource for trading on the go, and can often be synced with the calendar on your mobile to make keeping up-to-date with events incredibly simple. You will also find that there are some good old-fashioned paper-based copies available, which can usually be requested and sent via the post. Should I Use an Economic Calendar? Although the tools that traders use should always be determined by personal preference, there are very few people who wouldn’t benefit from such an invaluable resource. With staying ahead of the game the main aim of currency trading, why not give yourself an added advantage today, and find an economic calendar to help improve your strategy?